Schoolrooms don’t have to be dull and drab.Check out our fun Classroom Themes and Classroom Bulletin Board Ideas! 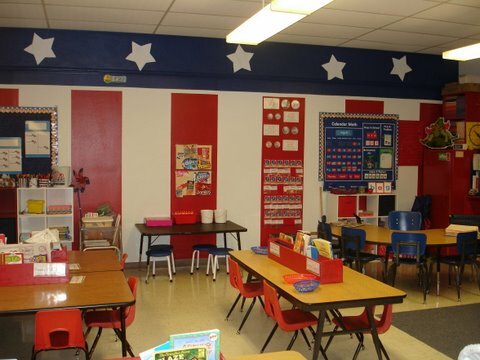 Pep up the place with these fun and motivational classroom decorating ideas. Who says classrooms have to be boring? Decorating a classroom is one of the first orders of business for teachers during that first week before school begins. Teachers are busy pulling together tons of classroom decorating ideas that motivate but educate. 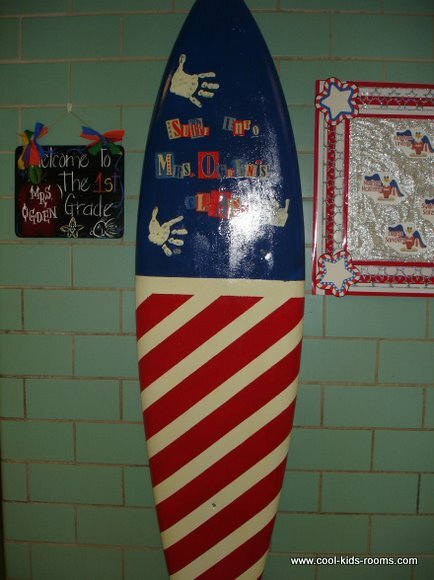 Welcoming back the students is a priority, and the really great teachers will create a special place for them by coming up with snazzy classroom bulletin board ideas and fun classroom activities. Classrooms are big on content - small on space. Books, desks, audio/visual equipment and students are all vying for elbow room. 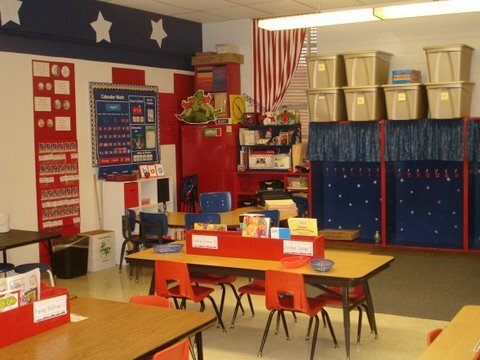 Classroom decorating ideas that are simple and organized are teacher favorites because they enhance calm learning environments. Information overload plastered all over the walls and on the classroom bulletin boards can be a distraction. Clutter tends to frustrate, and the last thing a teacher wants is a room full of frustrated kids. it should be the backdrop for your room’s theme. Educational supply stores carry many popular theme kits, everything needed for decorating a classroom - borders, posters, bulletin board content and suggestions for fun classroom activities, but don’t go overboard with the decorations. Strike a balance between the décor, the color scheme and the educational information. Children are attracted to bright colors, but use the bold palette sparingly. Guide students’ attention to specific points you want them to retain, and use the bright colors there instead of anchoring the room in bold yellows or reds. 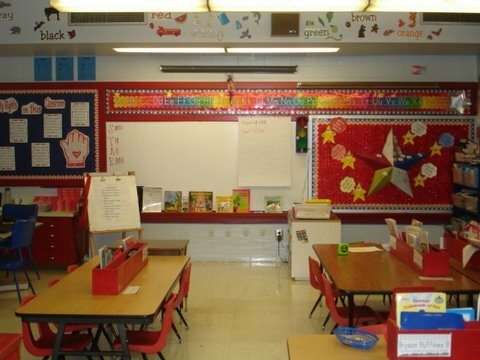 Classroom bulletin boards should set a tone, not jump off the wall with screaming loud colors. Pre-K and Kindergarten kids love to see their favorite television characters displayed in their classroom. It helps their transition from home to school. An online search will turn up some of the most popular themes and give you suggestions on how to use them. Display popular characters from the show and change them throughout the year to coordinate with the introduction of new subject material. Students can “ride” the school bus to visual field trips. As each task is mastered, create a new destination for the bus. Students’ names can be added to the windows of the bus. For older elementary school students, choose popular themes that have a variety of sub-themes; personalize the theme to coordinate with class content and mark individual achievements. Divide the room into different areas of a jungle. Use shades of green and brown for borders, posters and bulletin boards. Kids post their work and roar about their success. Create a place to honor students who’ve mastered a task. Designate an area where students buddy-up to swing across the jungle pit and mentor one another. Turn the room into a rodeo round-up. Section off an area of the room to resemble a corral, and specify it for a certain use. Put up posters that have relevant subject material. Make a poster to list new concepts and introduce new subject material. Identify challenges that students can claim to earn extra points. Create a classroom bulletin board that recognizes students’ achievements - grades, perfect attendance, most helpful student – anything that designates outstanding performance so that everyone gets a chance for recognition. The color scheme is mostly monochromatic in shades of blue. Use posters, borders and wall information to transform the classroom into a galaxy of information. Create a “sky” backdrop for classroom bulletin boards on which to post classroom goals. Hang stars with students’ names on them to boost confidence. Make small paper rockets containing the names of books for book reports. Students can claim their rocket at the beginning of the year. A satisfactory grade on the report will put their rocket on the moon. Welcome back! School’s in session.